Happy New Year everyone. While we are still a few months away from playing in Calgary, January is always an exciting time for us at Ted & Dave’s. Something about the calendar flipping over and the days getting longer as opposed to shorter breeds optimism. Oh yeah, and there’s also a mountain of new product coming in to the store! Throw in the PGA Tour season getting serious (as it turns out, TDCG will have staff “reporting” from the next two tour events as Dyl will be at Torrey Pines on Sunday and Kael will be attending the Waste Management in Phoenix the week after) and all of the fun coming out of the PGA Show in Orlando this week and it’s hard not to be excited in our world of golf. Robert Penner from Ted & Dave Custom Golf gives his thoughts on the new Stroke Lab putters from Odyssey. We have started to produce some short video clips where we talk about new products, projects that we are undertaking, or anything else that we think our customers will enjoy. You can find the archive on our Instagram (under IGTV), our Facebook page, and we will post them on the website as well. Please let us know what you think and if there are any topics you would like to see covered! Click here to view Robert’s thoughts on the new Stroke Lab Putters from Odyssey and here to check out Robert’s Shaft Deflection Board Project. Our Cure Putters are on sale for $189 each. 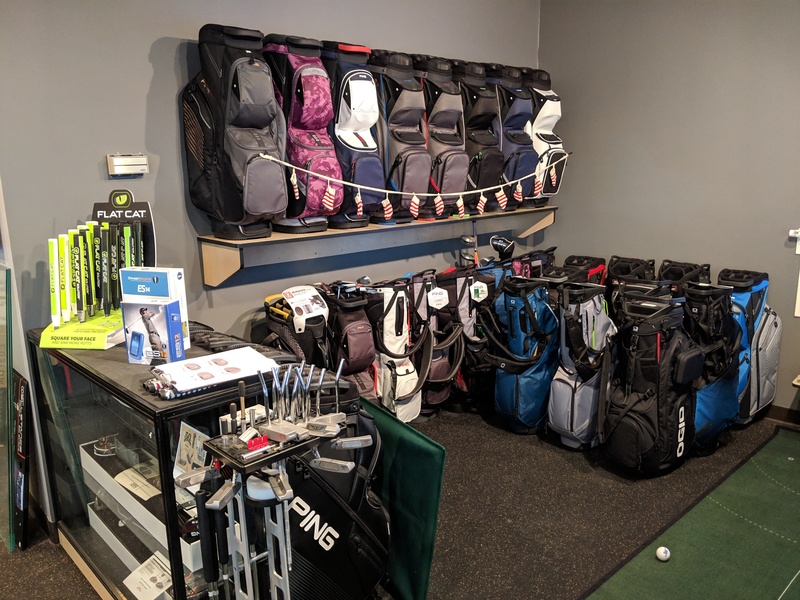 In stock Golf Bags are 20% off.